Objective Breitling is a specialist in technical watches and one of the world's only major watch brands to equip all its models with chronometer-certified movements, the ultimate token of precision. It wanted to celebrate the launch of its Avenger Hurricane and Bandit watches in Asia with a jet simulator experience. 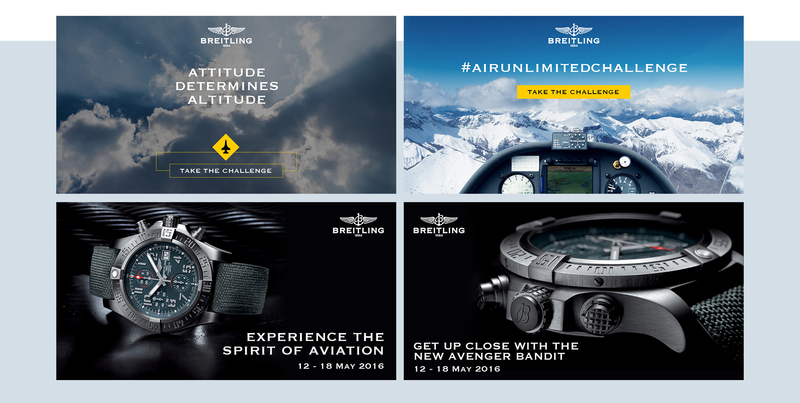 We were tasked with conceptualising a digital campaign to raise awareness of the timepieces as well as drive visitors to their launch exhibitions in Singapore and Kuala Lumpur. Solution We created an interactive microsite that showcased details of the exhibition and timepieces. We also created a simple yet engaging game titled Air Unlimited Challenge, which tested users on how far they could ‘soar’ by scrolling within a specified time limit. 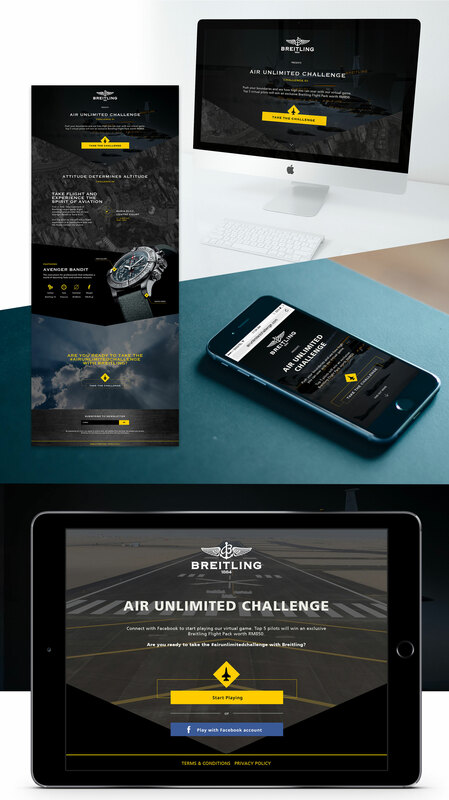 The winners of the Challenge were then able to experience the actual jet simulator at the exhibition as well as win exclusive Breitling merchandise.